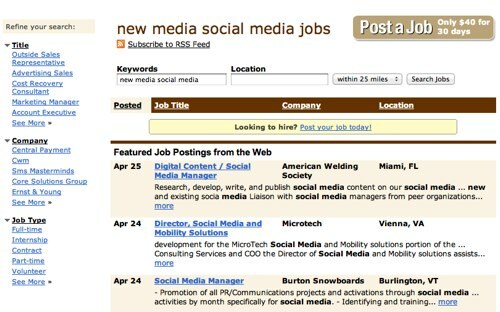 Check out our list of New Media jobs (and others) available via SimplyHired.com. Enter your location for jobs close to you. You can also search on other keywords. This entry was posted in Employment, Jobs. Bookmark the permalink.